Ruby Sibal, sometimes known as the ‘baby whisperer’, is a newborn care professional and the founder of Beyond Baby Care LLC, currently located in New York City. Originally from the Philippines, Ruby’s grew up working in her family’s floral business, but has also enjoyed a diverse career path that included event management, make-up artistry and working for an airline. 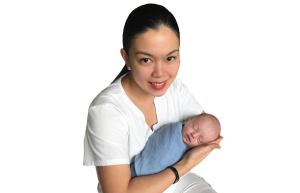 She was first introduced to baby care while working part time as a sitter, and found that she had a natural way with babies as well as a deep passion for newborn care and everything that goes along with it. From that defining moment, she knew what her life’s calling was, and set out to make it official. Her credentials include Certified Newborn Care Expert, Certified Infant Massage Instructor and Certified Lactation Educator Counselor, and she is a Certified Educator of Happiest Baby on the Block, giving her an incredible breadth of experience to back her expertise, but there was a problem. There were so many families and moms who wanted to hire her, but she could only be in one place at a time. The intensity of focus required to provide the level of care Ruby is so well-known for requires commitment: of time, of energy and of unconditional caring. In fact, one of her clients suggested that she ‘clone herself’ to address the issue, and from that thought came the ‘aha’ moment that would shape her life from thereon. Summoning her entrepreneurial spirit, she founded Beyond Baby Care LLC to provide training and workshops to aspiring baby nurses and newborn care specialists. During the course of their training, participants undergo an on-the-job internship, preparing them to handle whatever situations may arise. Ruby’s confident, non-judgmental approach has won her legions of devotees, many of whom consider her to be part of their extended family. She travels all over the United States and beyond to help new parents adjust as they learn how to care for their new child. Known for her organizational superpowers as much as for her knowledge, thoughtfulness, kindness and compassion, her hope is to train a strong network of newborn care specialists so that each and every family who needs it has the opportunity to flourish with their support. Her clients range from first-time moms to pediatricians, women who have high-risk pregnancies, c-sections and preemies. On the odd day when she isn’t helping a family discover the joys of parenting, you might find Ruby out exploring New York with her friends, pampering herself at the spa or salon, or catching up on some much-needed sleep. I have the highest regard for a Ruby and cannot say enough about her and how she continues to help the new parents in every area. She has been a true gift and I feel that the new parents have been given an invaluable foundation, moving forward, for taking care of their precious new son. I highly recommend Ruby to any new parents who want a knowledgeable, gentle, organized and intuitive baby nurse. – Linda L.
We can recommend must-haves for the nursery as well as any necessities that should be in place before you bring baby home. We are organizational specialists that can help you outfit your nursery with everything you need, ensuring that your baby has a safe, secure environment to come home to. 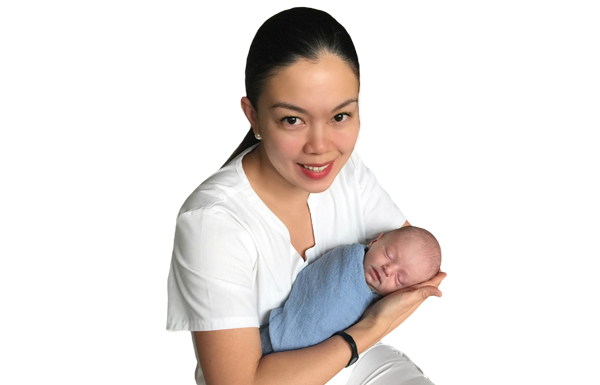 Beyond Baby Care’s baby nurses and NCS’ have years of hands-on experience caring for newborns and working with families of all descriptions. We support, we provide expertise and guidance so that you can feel confident and secure making decisions for your infant’s care. Our expertise comes from years of hands-on experience, backed by scientifically supported information that is always based on the latest research. Our job begins even before the baby is born. We take the time to get to know you as a family unit, providing information and guidance that takes into account your lifestyle, schedule and family dynamics. Once the baby arrives home, your baby nurse will work with the family for the first twelve weeks – also known as the fourth trimester – providing complete night time care of the newborn and offering a wealth of experience to help with everything from nursery setup to breastfeeding support.